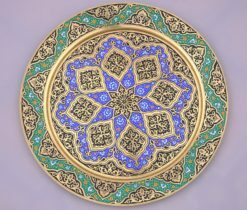 Design: Islamic Art, Ancient Asian Ornament. Process: Papier-mache, varnish, gilding, painting. 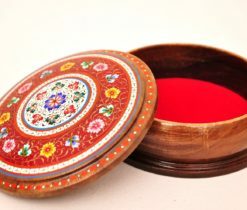 This magnificent wooden box painted with fabulous shades of multicolor lacquer. 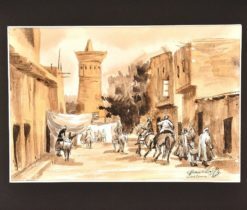 Hence, it features unique, easy on the eyes ornamental paintings. 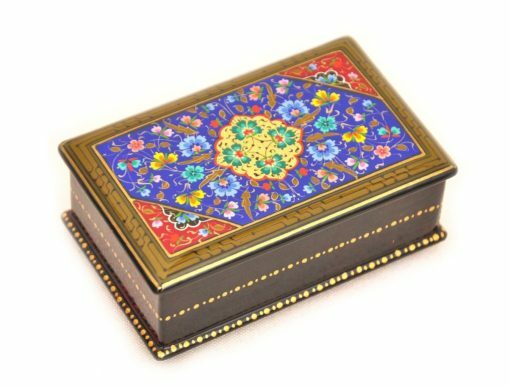 Get now this elegant stylish jewelry box. You could make one and only wedding gift, birthday gift, Valentine’s or Christmas gift for your beloved ladies. 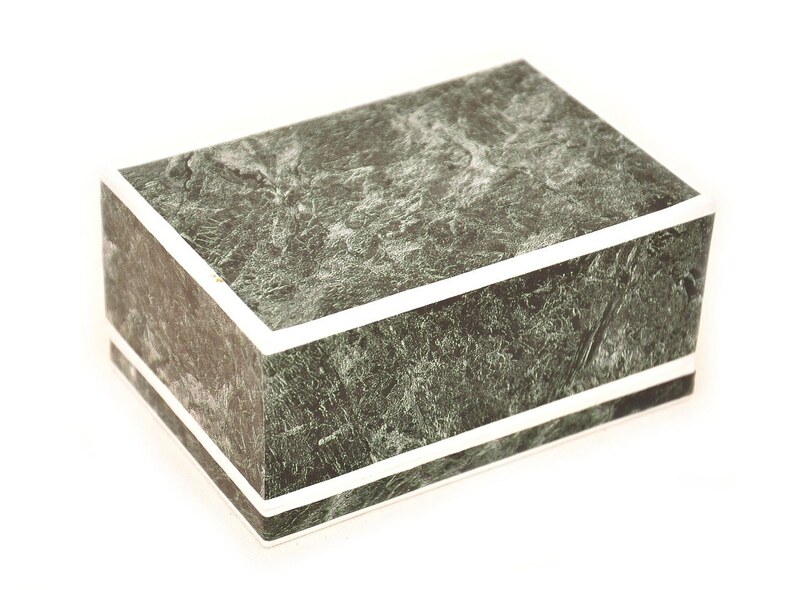 Make them keep enduring memories in this outstanding box. 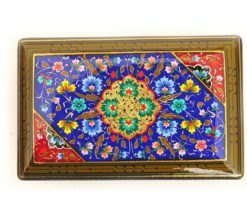 This wooden jewelry box accessory is elegantly ornamented with a design of ancient oriental ornament vectors. 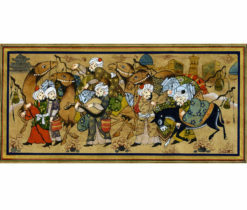 This embroidery represents uniqueness, beauty, love, and happiness. Hense, fully bloomed arabesque blossoms and rhythmic lines and whorls of the vines make it a memorable item for any collection. 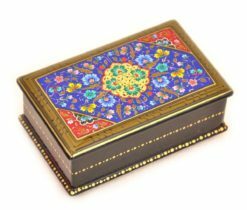 The ornamental handcrafted piece of art would be more than just storage box. It would be everything to give gifts, store jewelry. You may also contain important things and other personal items. Because it is antique fan box. This wooden handmade lacquer accessory makes a wonderful collector’s artisanship for an art connoisseur. And it would look out of this world in a captivated cozy home too. 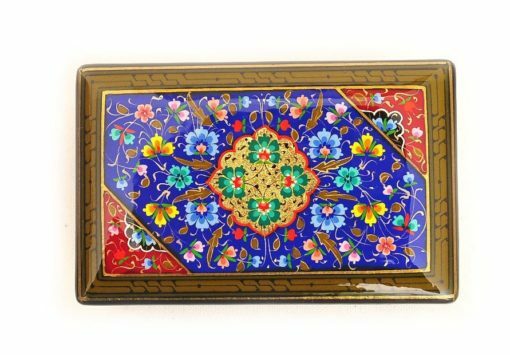 Because lacquer box is authentic and one-of-a-kind work of art. 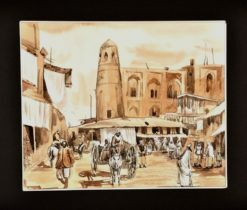 Condition: New – Authentic / Process: Papier-mache, varnish, gilding, painting. 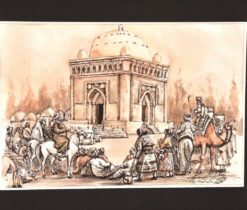 Uzbek masters use several species of trees for their works. 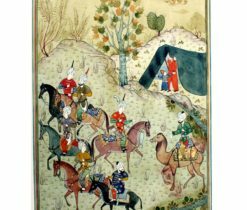 Among them is Walnut tree, Plane, Ember-tree, Mulberry. Those trees have hard fine texture feasible for fine intricate carving. 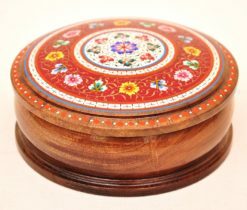 Wood boxes can be found coated in lacquer, even inlaid with precious stones, other types of wood. It is lacquered until it gets hands on the hardness and sturdiness of wood. Moreover, lacquerware adds an elegant look to the flamboyant designs on the surface of the box. 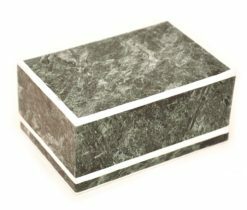 Boxes can also be made of silver, jade, ivory, or copper. 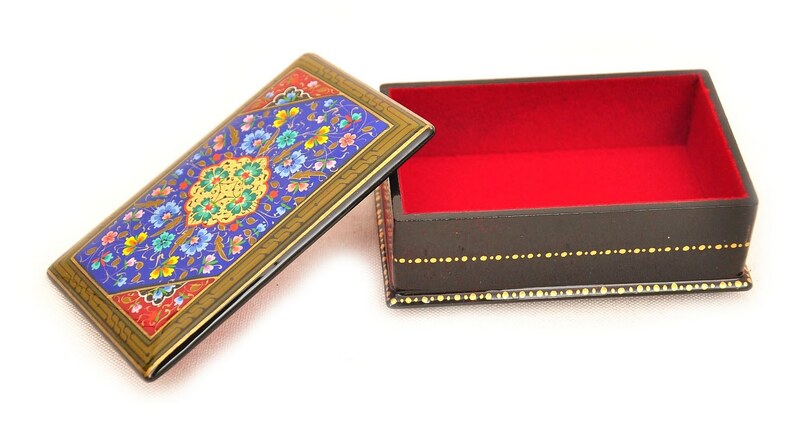 Nevertheless, wooden boxes are a fashionable one. 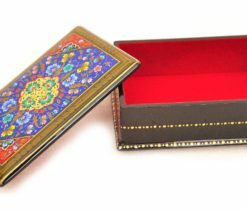 Our handcrafted boxes come in all different shapes as well. 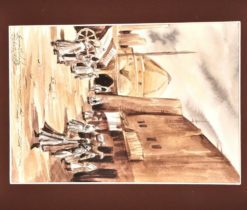 Many of them are in the traditional rectangular shape. However, some can be circular, hexagonal shapes, or even octagonal shapes. 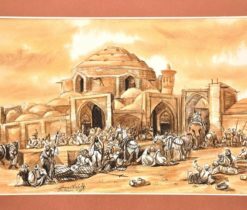 However, all are ornamented to give the exterior an elegant appearance. 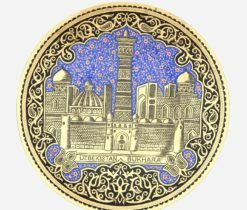 All handmade items are ready to ship and sent by Uzbekistan Registered Post which takes minimum 10-21 business days to reach anywhere in the world. If you are looking for the delivery any sooner, please ask for a priority shipping at an extra cost. Production time is 1-3 business days, not including weekends or holidays.